This tour package extends till April 2017. You will be staying in comfortable 5 star and 4 star hotels categorised according to Sri Lankan standards.. Grab this special deal. Groups bookings are welcome. Please note supplementary charges apply during festive seasons. Book early to avoid disappointment. ​Upon arrival at the Bandaranayake International Airport, you will be met by one of our representatives and transferred to a hotel in Negombo. The journey to the hotel will take about 10-15 minutes from the Airport. 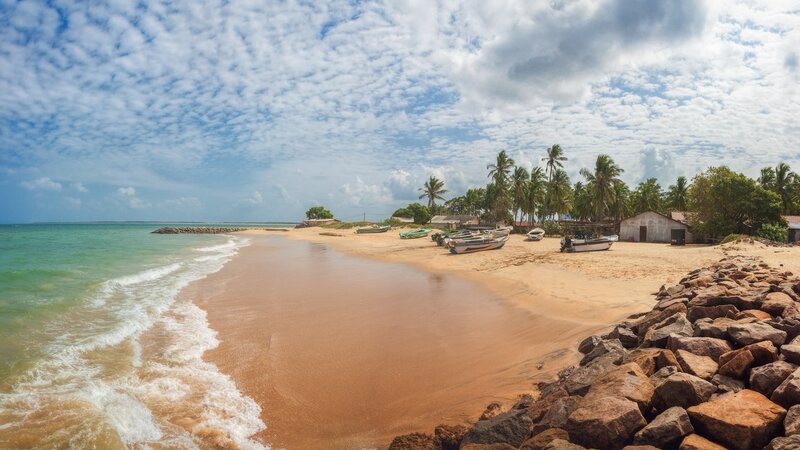 Negombo is a major tourist destination in Sri Lanka. This city is an ideal place for those wanting quick access to and from the country's international airport. The 100 km long canal network running through the city is still used. Outrigger canoes and modern water-craft ply this route daily, for trade and tourist purposes. Remains of the Dutch fort built in 1672, centuries-old Portuguese and Dutch houses, Administrative buildings, Churches and the ceiling frescoes at St. Mary's cathedral remain reminiscent of Western colonisation. After breakfast proceed to Kandalama. En route visit the Pinnawela Elephant Orphanage. Pinnawalla has a large herd of elephants that were found abandoned in the wild. This orphanage was founded in order to provide care and protection to these wild giants. ​Continue your journey to Sigiriya and check in to your hotel in Kandalama. After breakfast climb the 5th century rock fortress which was built by King Kashyapa (477-495 AD). The ''Lion Rock'' as it is called is a citadel of unusual beauty rising 200 metres from the scrub jungle. The rock was the innermost stronghold of the 70 hectare fortified town. A moat, rampart, and extensive gardens including the renowned water gardens ring the base of the rock. The world-renowned frescoes of the ''Heavenly Maidens'' of Sigiriya, can be seen as you climb the spiral stairway. These frescoes are painted in earth pigments on plaster. On completion proceed to Polonnaruwa and enjoy a tour of this historic city. Polonnaruwa became capital of Sri Lanka following the decline of Anuradhapura. It was declared a capital by King Vijayabahu the 1st who defeated the Chola invaders in 1070. 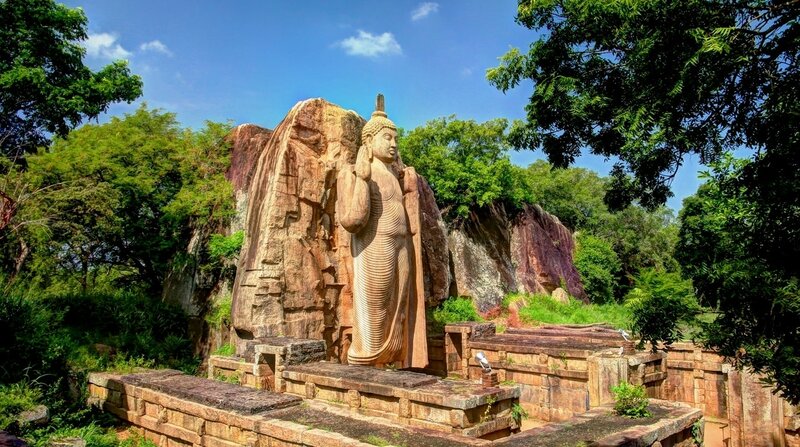 Today, the ancient city of Polonnaruwa is a World Heritage Site. The golden age of this glorious city was under the reign of King Parakramabahu the 1st who oversaw the construction of one of the greatest irrigation systems the country has seen, the Parakrama Samudhraya, which covers an area of 6,000 acres. You will see ruins of the Royal Palace and various buildings and structures along with the other highlights of this city which include the Gal Viharaya which has 3 splendid statues of the Buddha in 'Upright', 'Sedentary' and 'Recumbent' postures carved out of rock, the Audience Hall, the Lotus Bath, the statue of King Parakramabahu, the former Temple of Tooth Relic, Shivan Temple, Lankathilake, Watadage, Galpotha, and Kiri Viharaya. After breakfast proceed to Matale and visit the Matale Spice Garden (optional). You will be shown different spices grown and processed in this region. You are not obliged to purchase spices during the tour. It is left to your sole discretion. On completion continue to Kandy, another world heritage listed city. In the evening enjoy a city tour of this historic town..
Kandy, was the last remaining capital of the Sri Lankan King, Sri Wickramarajasinghe. The country was colonised by the British in 1815. 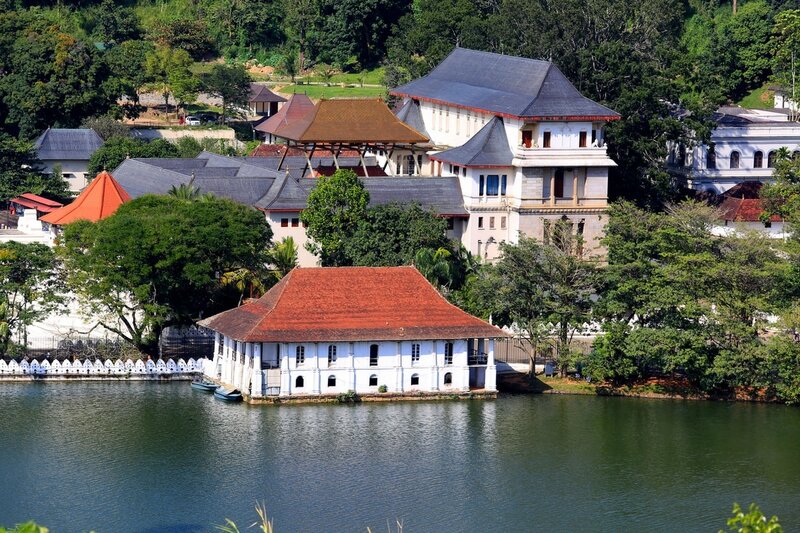 The Temple of the Tooth Relic is the most significant highlight of this city along with the Kandy lake, the town and other attractions. Visit the Kandy Town and Bazaar, the arts & crafts centre, gem museum and a lapidary. In the evening, visit the Temple of the Sacred Tooth Relic and thereafter, witness a cultural show featuring traditional Sri Lankan dance. After breakfast visit the Peradeniya Royal Botanical Gardens. The Royal Botanical Gardens cover approximately 147 acres and attracts over 2 million visitors annually. It is home to over 4,000 species of plants including some very beautiful orchids. This magnificent garden dates back to the time of King Wickramabahu the 3rd in 1371. Besides the plethora of plants, the famous Avenue of Palms and the Cannonball Tree planted by King George the 5th of the United Kingdom are key highlights. Nuwara Eliya, because of its invigorating mountain climate and scenery, is Sri Lanka's most popular hill resort. 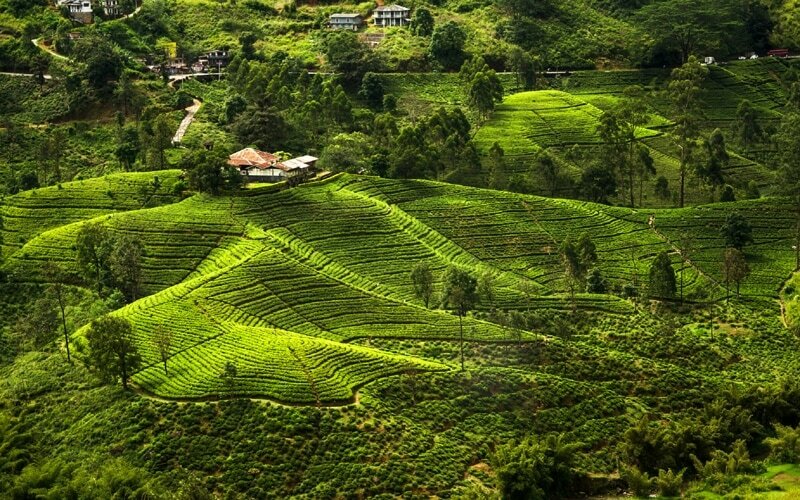 Nuwara Eliya is also the heart of Sri Lanka's tea country producing a significant share of the world's best tea. Sri Lanka's highest mountain Pidurutalagala (8282 feet) is located here. Nuwara Eliya also has one of the finest 18 hole golf courses in South Asia. ​After breakfast proceed to Udawalawe and visit the Udawalawe transit home. The Udawalawe Elephant Transfer Home is a facility within Udawalawe National Park that was established in 1995 by the Sri Lanka Department of Wildlife Conservation. Its primary objective is to rehabilitate orphaned elephant calves for ultimate release back into the wild. Up to three elephants per week are killed in Sri Lanka due to conflicts with humans, often leaving behind orphaned calves. The elephants are kept at part of the Udawalawa National Park to maintain familiarity with their habitat, but have access to both food and medical care. After breakfast enjoy a safari at the Yala National Park. The Yala National Park is approximately 1,259 sq. kms in extent and is the largest national park in Sri Lanka. It is located in the south eastern corner of the island and it has the added bonus of a scenic ocean frontage. The park is the home to wild elephants, wild boar, wild buffaloes leopard, bear, deer and crocodiles. Large flocks of migratory and indigenous birds are also found here. On completion return to the hotel and spend some time at leisure. After breakfast proceed to Galle for a tour of this historic Fort. Galle is located in the south-western part of Sri Lanka and is an important city in the region. The city of Galle is a good example of a fortified city built by the Portuguese during their period in the country. The Galle Fort, today, is a world heritage site. The Dutch Museum and the Dutch Church are two other significant attractions within the Fort. Galle is also famous for its intricate lace and ebony carvings. ​On completion return to your hotel. After breakfast at the hotel spend the rest of the day at leisure. After breakfast proceed to the airport for your departure. Depending on your flight time we can request a late check out. However it is left to the discretion of the management. There are no guarantees. We wish you an enjoyable holiday in Sri Lanka. Thank you for choosing Leisure World Tours. Accommodation in standard rooms for 10 nights at hotels specified or of similar standard on Bed & breakfast basis. Optional excursions and additional services could be provided for which we will charge extra. a.) 21 days or less - 100% cancellation charge. first two days charges depending on the programme and period of stay. are made to 3rd parties. Where Special requests Eg : Room locations, Interconnecting /Adjacent rooms, Double/Twin beds, Smoking rooms & non smoking rooms etc are an important factor in the choice of holiday, please advice us when the booking is made. We will pass on your request to the hotel but cannot guarantee that it will be accommodated. a) The programme is based on the availability of the hotel rooms at the time of forwarding the quotation. As such rooms are subject to availability at the time of booking. The official check-in time at all hotels will be 1200hrs - 1400 hrs ( depends on the hotel). Hotel Check in/Check out times are fixed and there are no guarantee for early/late check in /out unless paid for.